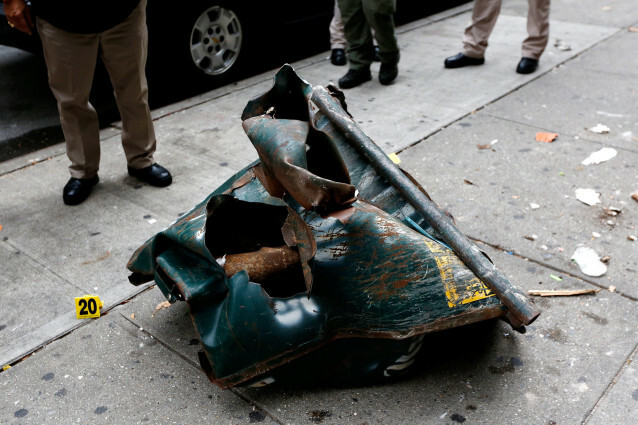 ISIS Unleashes Infamous Dumpster Bomber On U.S.
NEW YORK – (CT&P) – A massive manhunt began on Monday morning as the FBI announced the identity of a suspect wanted for questioning in connection with weekend explosions in New York and New Jersey. 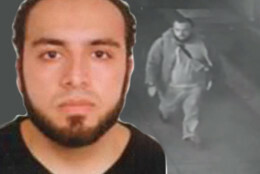 The identification of 28-year-old Ahmad Khan Rahami, a U.S. citizen born in Afghanistan, sparked a frenzied search around the region, as officials suggested that as many as four separate incidents could be linked, and may have been connected to an international network. Mr. Rahami, known in his native Afghanistan as the “Corpulent Sheik,” is 5’6″ inches tall and weighs over 200 lbs. Rahami is well-known to intelligence sources in Kabul where he has destroyed or badly damaged over 300 dumpsters using explosive devices made from various cooking utensils. At 5’6” and 200 lbs, Rahami is known in his native Afganistan as the “Corpulent Sheik.” His signature weapon is the common pressure cooker which he uses to cook all his meals. After each attack the nauseating stench of rancid goat flesh permeates the blast zone. “Rahami should be considered armed and dangerous,” said a CIA operative on condition of anonymity. “The public should at all costs avoid loitering or passing out in dark, filthy alleys behind restaurants and bars. “And most importantly, if anyone spots a chubby Afghan using a stepladder to wrestle a large unwieldy box or bag into a dumpster under the cover of darkness, they shouldn’t try to help him unless he’s a friend or acquaintance. GOP presidential nominee Donald Trump was quick to condemn the bombings saying, “After that dumpster went up I saw thousands of Arabs cheering outside Clinton Campaign Headquarters over in Brooklyn. Those people just don’t have our values. They’re dirty and don’t appreciate a good trash receptacle.